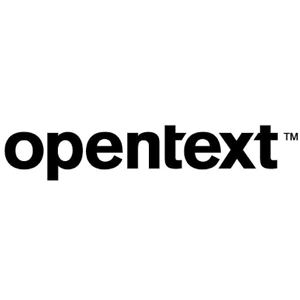 OpenText Corp is a leading Enterprise Information Management (EIM) company. It provides software and solutions to companies enabling them to better manage, leverage, and secure their enterprise information. The company’s revenues comprise of customer support (44% of FY18 revenues), cloud services and subscriptions (29%), licenses (16%) and professional services (11%). More than 70% of its revenues are recurring in nature. OpenText has a large presence in Americas (57% of FY 18 revenues), followed by EMEA (33%) and APJ (10%) regions. The US accounted for 50% of the total revenues. The company has a strong focus on FinServ, Life Sciences, Manufacturing, Auto, Healthcare and Government sectors. By industry, financial was the largest, accounting for 26% of ARR (annual recurring revenue), while services closely followed with 19%. Consumer goods and technology (11% each), public sector and healthcare (9% each), basic materials, industrial goods and utilities are the other industries served by OpenText. OpenText processes trillions of commerce transactions every year and connects over 1 million businesses globally. The company helps clients’ businesses by reducing their security risks and lowering their operational costs either on premises or though the cloud. Out of the $2.8 billion in revenues last year, $2 billion was recurring in nature. Revenues have grown at a 15% CAGR since its inception in 2012 and the company has been consistently reporting improving metrics (ARR, EBITDA, cash flows) over the years. Recurring revenues add predictability, stability and visibility to cash flows. OpenText is targeting recurring revenues to be up to 76% by FY’19 up from 73% today. OpenText has a strategy to grow both organically and through acquisitions. The company has a history of successful acquisitions, completing 15 acquisitions over the last six years. The latest ones being Hightail, Covisint and Guidance Software last year. OpenText also announced that it would acquire Liaison Technologies and benefit from the latter’s strong presence in multi-enterprise application integration. It will also strengthen OpenText’s leadership within key verticals like life sciences, manufacturing and healthcare. As the EIM market leader for enterprise software and cloud solutions, OpenText has successfully bagged 120,000 customers and 100 million end users. The company has sticky customer relations formed as a result of its attractive product portfolio which includes security, AI and IoT. Nestle, GM, AT&T, Daimler etc. are some of the prominent names in its customer list. OpenText also stands a good chance to benefit from cross-selling its products and services to its existing clients. OpenText had announced a $29 million restructuring program focusing on operational efficiency in Q4 2018 that is estimated to realize partial benefits in 2019 ($20 million) and full benefits in FY 2020 ($50 million). Since its inception, OpenText, as a Canadian Dividend Aristocrat, has maintained a consistent quarterly dividend program paying dividends for 22 consecutive quarters. The company has returned close to US$550 million to shareholders till date. The company has more than doubled its dividends since 2013, maintaining a dividend growth of over 7% CAGR over the last three years. The company’s earnings have also grown by more than 40% CAGR over the last decade. OpenText last raised its dividend by 15% and has a current yield of 1.8% (as of writing). OpenText has a $100 billion opportunity at hand, to grow as the information company. It is targeting an EBITDA of 36%-38% by FY19 and 38%-40% by FY21, by leveraging AI and automation, optimizing OpenText business system, efficient spending, funding growth in Canada India, Philippines etc. OpenText also has a target of reaching $1 billion in operating cash flows by FY21 and a target payout ratio of just 20%. OpenText is generating solid cash flows on the back of growing cloud and recurring revenues. The company should be in a comfortable place to raise dividends using its increasing cash flows. OpenText is poised to leverage its leading position and benefit from the emerging trends of data and digital growth. Today, companies need to connect businesses and applications with speed, security, and reliability and OpenText promises its clients reduced costs and more security as they transition to the OpenText Cloud. The company is expecting its organic growth to be in the low single digits for the FY 2019, which should easily fund its dividend payout in the high single digit rate. OpenText has an edge over competition, given a consistent track record of delivering growth, through disciplined capital allocation. Given rapid technological change and shifting customer needs, OpenText products face severe competitive pressures. It primarily competes with International Business Machines Corporation NYSE:IBM. Oracle and Microsoft NASDAQ:MSFT also pose competition in certain markets. Other software vendors competing in the EIM sector are Veeva Systems, j2 Global, Pegasystems, Hyland Software, SPS Commerce, and Adobe Systems. As a result of software industry consolidation, new entrants or alliances could spring up and capture additional market share. World-class set of products, an innovation culture, industry vertical focus and marquee customers make OpenText a winner. The company is targeting growth in the core markets of content services, business networks and cloud while growing security, AI and IoT. The Liaison acquisition should further add to its cloud growth. Given the company’s clear vision on operational and financial goals, improving operational cash flows should continue to fuel dividends in the future. A low payout ratio and recurring revenues should also aid dividend growth. Due to the aggressive business environment and the scale of some competitors (IBM and Microsoft), disruptions could challenge the dividend in favour of acquisition (think Shaw Communication with its entry into the wireless). I would invest for the growth potential in the stock rather than for the dividend.